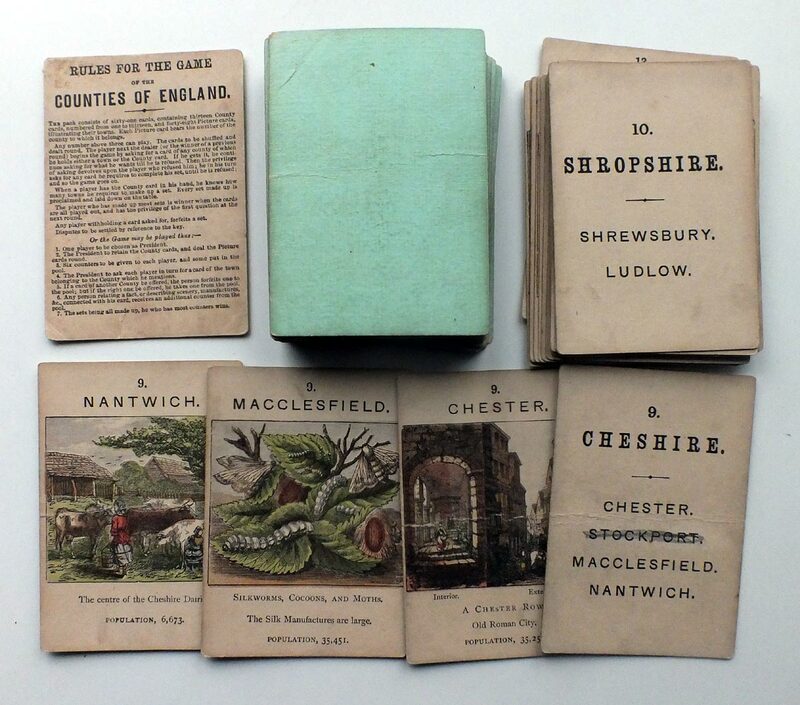 Above: antique boxed set of 'Counties of England' card game containing three different series. London is described as having a population of 3 million. Image courtesy Linda Brown. 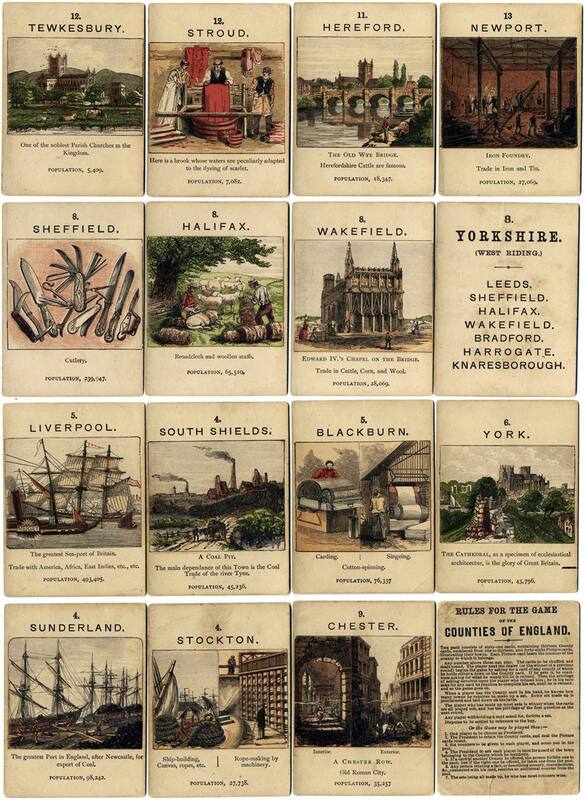 Jaques' Counties of England geographical card game was published in four series and in several editions. The idea of the game is similar to Happy Families, i.e. to win by completing the highest number of sets, as shown by the Key Cards. The design of the cards and boxes was revised over the years, and the factual information printed on each card (historical facts, population, principal industries, etc) was updated to keep up with progress and new industrial developments. The game was outstanding for its instructive and educational value. 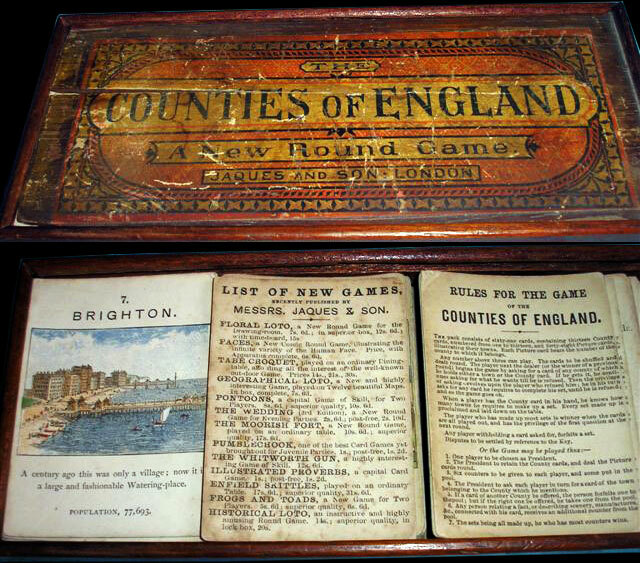 Above: Jaques’ Counties of England card game, c.1880, 61 cards + rule card. 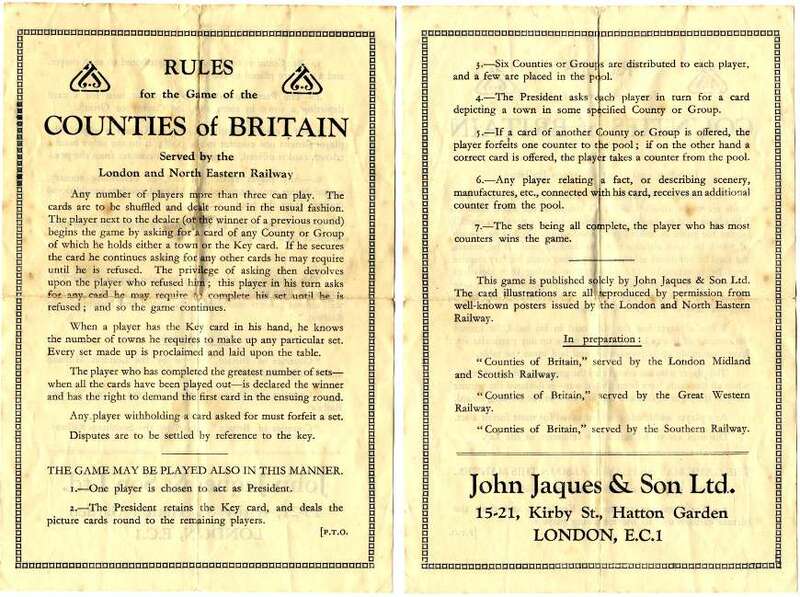 Jaques introduced the game in 1866 and it continued to be published well into the 20th century. The original price of each set was 1 shilling & 6 pence. They were manufactured by printing wood engravings on a large sheet of paper which was then pasted onto card and cut. Occasionally one can see where poor cutting trimmed the illustrations. 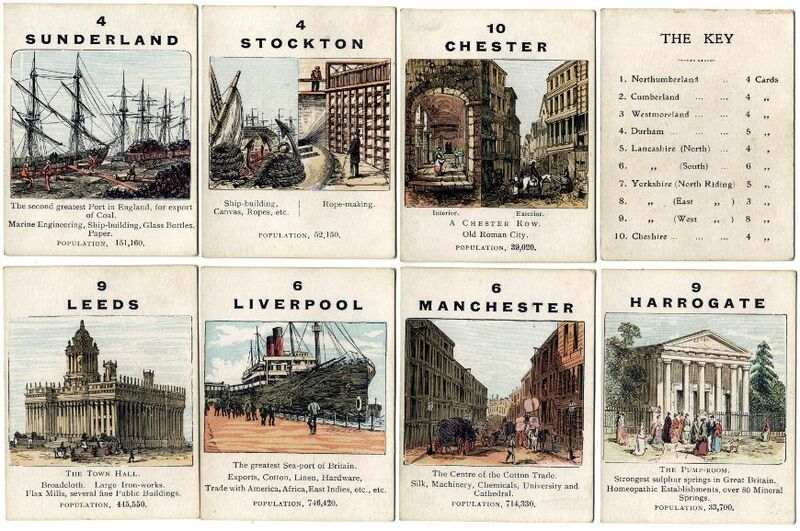 Above: Jaques' Counties of England card game, 1st Series (Northern Counties), published c.1900 with different typography and some updated facts. In some versions of this edition, the corners of the cards are rounded. The set also contains The Rules.